Need a handsfree kit in your car? Want to listen to hours (days) of uninterrupted music? Have a smartphone and want to use it in the car? iPod integration? We have it all. The Gateway 500S BT is the perfect match for MOST™ fiber optic systems. Need a handsfree kit in your car? Want to listen to hours (days) of uninterrupted music? Have a smartphone and want to use it in the car? iPod integration? We have it all. The Gateway 500S BT is the perfect match for MOST™ fibre optic systems. Talk to your loved ones without holding the phone while driving! Listen to hours (days) of uninterrupted music! Manage your smartphone's functions with your car's factory controls! You can talk via telephone just as you talk to someone sitting next to you. Perfect sound quality from the car's audio system and with the automotive grade external microphone you can be heard as well even in higher riding noise thanks to Gateway'S special sound-filter algorithm. Manage your phone calls with your car's familiar factory controls. You can browse the phonebook on the head unit's display, you can start, accept or decline phone call's with the steering wheel,- or the radio buttons. 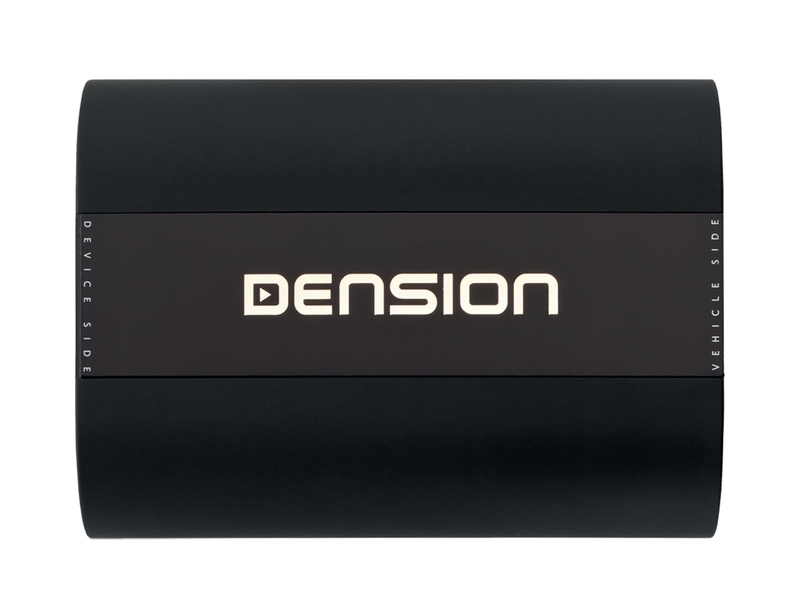 Music streaming is a flawless experience on the car hi-fi. Fast and easy access to your favourite songs stored on your smartphone with menu-based browsing via USB or radio button controls via Bluetooth. If your car is already equipped with Bluetooth, the Gateway 500S BT also has a version without Bluetooth, The Gateway 500S. Gateway 500S BT is a Bluetooth hands-free and music streaming device with factory controlls in the factory interior. Gateway 500S BT works like a CD changer and you can control it the same way. Using the steering wheel,- or the radio buttons, you can select other devices (iPod, USB, Bluetooth audio, or AUX) in the source menu, our you can continue browsing in the submenus. In the phone menu, you can manage your calls with your car's original controls the same way as you do on your phone which meanwhile stays in your pocket. 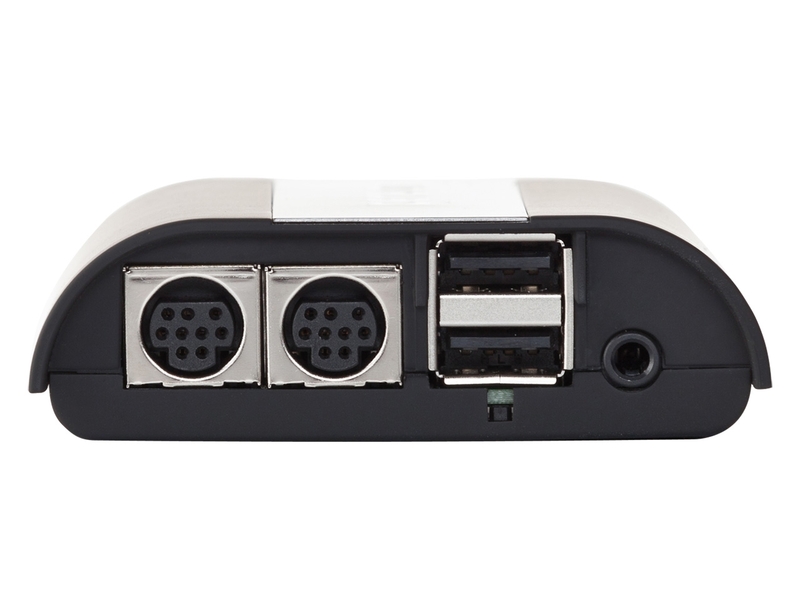 If you connect iPhone or iPod, the Gateway 500S BT provides you full, menu-based browsing retaining the phone's menu system. If you have Android, Windows phone or Blackberry, you can browse only in mass storage mode. 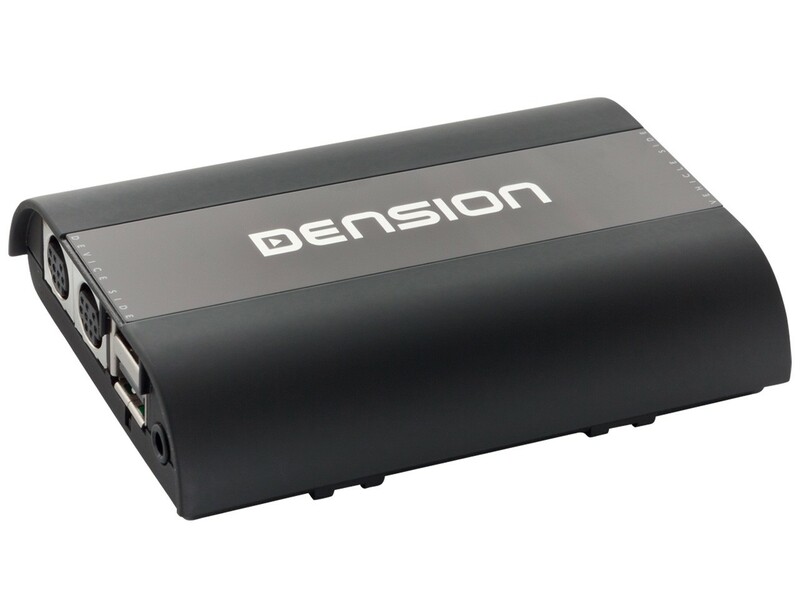 To operate the Gateway 500S, Gateway 500S BT, or Gateway 500 products, certain options have to be enabled in the car audio system, which might not be set by default in all vehicles. If the car doesn't have factory CD-changer or telephone module, those options aren't activated by default. 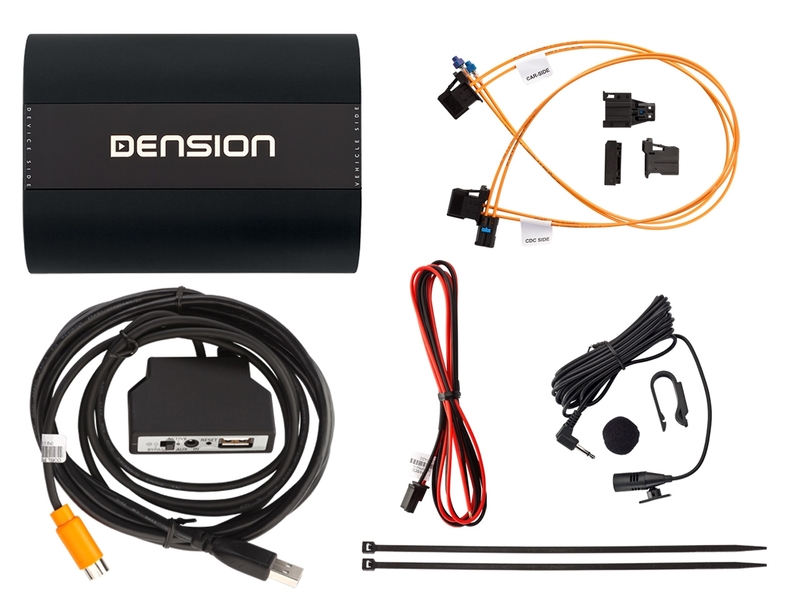 The Gateway Enabler for BMW vehicles (Dension GEN) provides these special diagnostic functions (enable/disable) via the ODB2 port, and also makes the Gateway's installation faster and more cost-effective. You can check if the enabler works with your car on the GEN product page. If the Enabler isn't compatible with your car, you can enable these functions with car diagnostics tools (Autologic or NCS expert), or in a service. Mercedes models normally require opening the entertainment electronics' optical circle in the vehicle to connect an external device. It is needed if there aren't any media devices (CD changer, telephone module, navigation) connected to the optical system. You need enabling if there is no CD changer or telephone module in the vehicle. With Audi models, you don't need enabling. The Gateway 500S BT uses the MOST fibre optic system to communicate with the car. These closed systems use different protocols to communicate with the head unit in the vehicle, that is why it is so important to check if your car is compatible with the Gateway 500S BT. Before purchasing, you have to check your compatibility with the Dension Compatibility Selector (red „Check your compatibility button next to the gallery above)! If the product isn’t compatible with your car, you can browse the Bluetooth Hands-free Kits category for more hands-free products. You can find other integrated products and universal products too there. The Gateway 500S BT connects to the MOST™ ring as a CD-Changer therefore if you do have a CD-Changer already installed in your MOST™ equipped automobile and would like to use it after the installation of the Gateway 500S BT please choose the Dual FOT version of the device. If you do not have a CD-Changer or you do not want to use it anymore the Single FOT version is just the right choice. We recommend entrusting a professional with the installation of Gateway products.